"One good deed a day..."
About two weeks ago, our sweet friend and neighbor Jan Harris was watching Indiana while I made a quick trip to Washington DC for a Grammy event that I'd been asked to be part of. A few days after I got back, Indy and I were packing to make the drive home to Indiana for Easter and Jan showed up at the door with an envelope that had my name on it, along with the words "Happy Easter, Love Jan". She actually brought a almost a dozen of them. There were envelopes for Heidi and Hopie and my two sisters, and also one for each of Joey's parents and her three sisters. When I opened mine up, these pictures are what I found inside. To say I was surprised is an understatement. "When... where... I mean... how did these happen? ", I asked with a huge smile on my face - knowing that these pictures weren't something that someone just took with an iPhone. "Happy Easter Rory", Jan said with an even bigger smile than mine. It turns out that one evening while I was gone, Jan and another of our friends, Melanie McCaleb (both amateur photographers), drove Indy down the country lane to a pretty field beside the road just as the sun set and shot these photos and had them printed and put in envelopes for all of us. 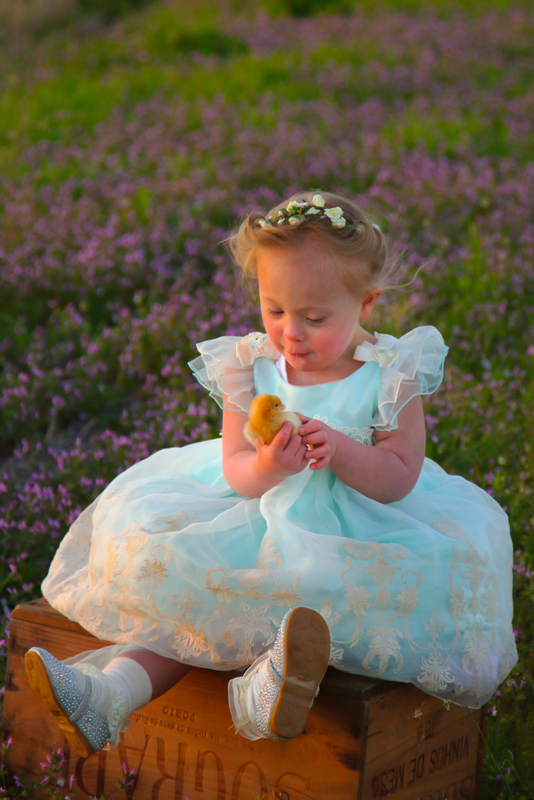 Not only that... but Jan also bought the pretty dress and flower tiara she's wearing, borrowed the bunny and the baby chicks and found the perfect spot in advance... all to create a special gift and memory of Easter this year for me, and for our entire family. What an amazing friend and gift. But this isn't the first time that Jan has done something like this for me - she is also the one that found and framed the 150 year old sheet music I wrote about in February) that hangs above our mantle now. Jan said that, inspired by the bus trip to Indiana to say goodbye to Joey in the fall of 2015, and Joey's love and selflessness... she decided to start doing one good deed for someone every day. And so she has. Every single day. She started last Easter and she's still doing it. She said that sometimes she does something small for someone (or a few small things for a few people), and sometimes it's something big. But by the end of each day, she makes sure that she has 'given' herself to someone else, with no expectation of ever being paid back. My favorite part of the story though is how much she said that it has changed her. She explained that even though she may be the one trying to bless others each day, the blessing has actually become all hers. Everything about her life has changed since last Easter, she said... there is a new joy and an excitement to her life that wasn't there before. And you can see it when you're around her. 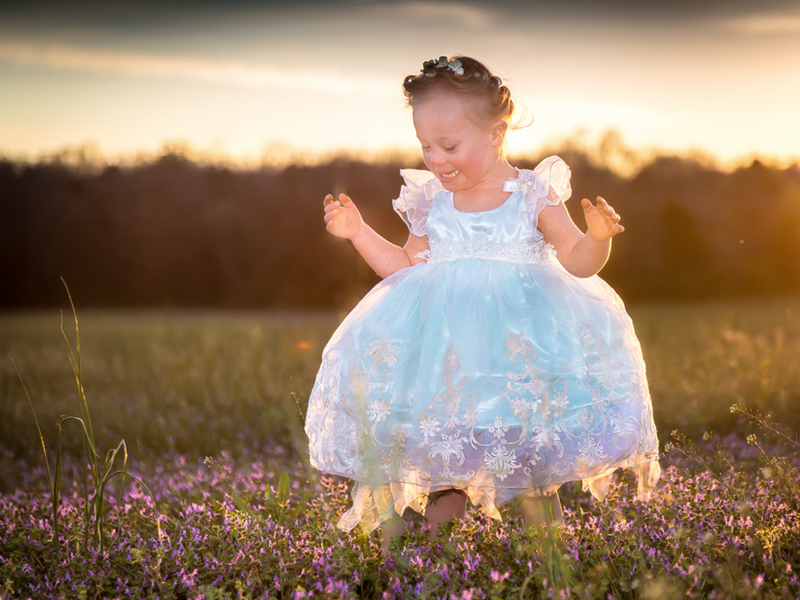 Thank you Jan for the beautiful pictures of our little one. We will keep them in frames on our mantles and in our hearts forever. And even more than the pictures, thank you for the friend you were to Joey, and are to me and so many others... and the inspiration you are to us all.